The summer will be filled with the sound of music in Rowland and Hacienda Heights. 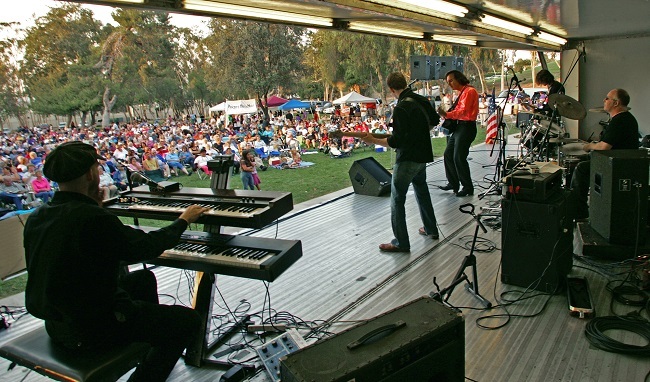 Puente Hills Concerts in the Park begins its season with a “Salute to America” on July 2. Concerts are held from 7 to 9 p.m. Tuesdays in Schabarum Regional Park. The concerts under the stars have become a big summer draw. Admission and parking are free. 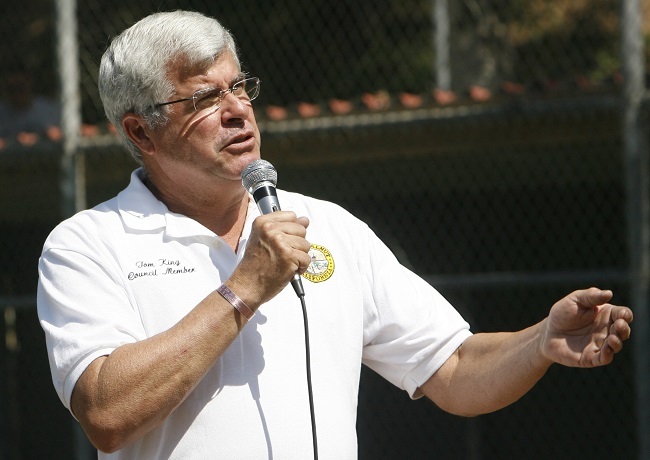 The fun events are supported by the Los Angeles County Parks and Recreation Department as well as Supervisor Don Knabe. Read more in Rich Irwin’s story CONCERTS. With the spring daffodils barely gone, Southern California braced Wednesday for a weeklong blast of triple-digit temperatures and heightened fire danger across the region. And when the weather year ends Monday, Los Angeles expects to tally its sixth driest year on record. “This is definitely the first protracted heat wave of the season,” said Bill Patzert, climatologist for the Jet Propulsion Laboratory in Pasadena. “And it’s come early. Forecasters said a massive high-pressure system that has eclipsed much of the West is expected to increase temperatures by up to 10 degrees per day through the weekend before gradually tapering off by Thursday. In the meantime, the East Coast faces massive storms and floods. As unseasonal wildfires have burned throughout the West, the early summer heat wave precedes the prolonged heat incidents normally seen in late summer or fall. “It’s going to be a significant heat wave of the season,” said David Sweet, a meteorologist at the National Weather Service in Oxnard. “I think the fire danger is significant, in near-critical conditions” — but not quite dry enough to issue a red-flag warning, he said. The weather service issued an excessive heat warning from the Inland Empire to the low desert, where the mercury Saturday was expected to hit 97 degrees in Ontario, 102 in San Bernardino and a smoking 117 degrees in Palm Springs. An excessive heat watch was also issued beginning Friday for mountains across the Southland, where lower elevations were expected to reach 108 degrees and record temperatures up into the 90s at higher altitudes. It’s not quite Carmaggedon. 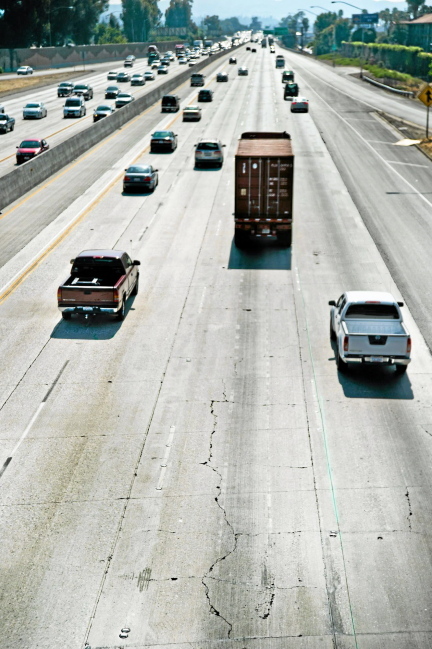 It is the 60 Summer Slam and Caltrans expects it to snarl traffic in the San Gabriel Valley and Inland Empire this summer. For four weekends in July and August, a portion of the 60 Freeway in Rowland Heights will be slammed with traffic backups due to major roadwork between Fullerton Road and Nogales Street. In order to repair the roadway, Caltrans will block off between two and three lanes at a time for two or more miles, even closing the freeway during the early-morning hours. “This is what we are calling a summer slam on Route 60,” said Lauren Wonder, Caltrans spokeswoman, during a press briefing Tuesday at the Caltrans Traffic Management Center in Los Angeles, west of Eagle Rock. The state agency plans a series of four 55-hour weekend lane closures between these two exits that experts say will cause huge backups on the 60 and possibly the 57 freeway, while adding to traffic volumes on alternate routes, namely the 10 and the 210 freeways between eastern Los Angeles and western San Bernardino counties. Read more in Steve Scauzillo’s story SLAMMED. Bark Park @ Pantera has reopened. The park was closed for several weeks to install shade structures, more benches and drinking fountains. 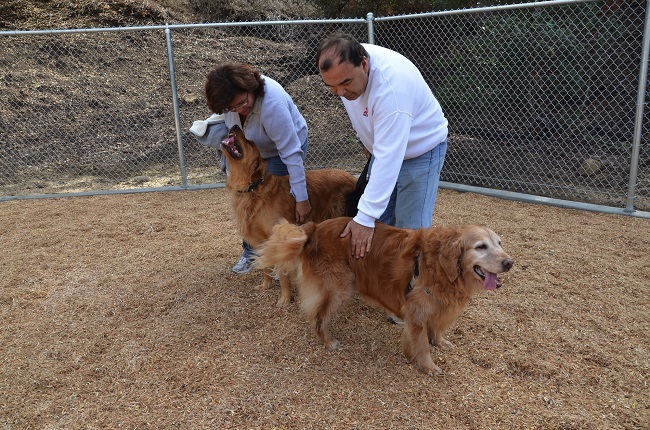 Bark Park opened in November 2012 and has become very popular with dogowners. It is located on a 1.35-acre site on the south side of Pantera Park near the basketball courts. The park offers two enclosed areas where dogs can play and socialize leash-free. Amenities include two drinking fountains with pet bowls, doggie waste bags, trash receptacles and park benches. For more information, call the Community Services Department at 909-839-7060. Puente Hills Concerts in the Park opens its summer season with a “Salute to America” on July 2. The Sounds of Cypress, a 45-piece orchestra, will perform from 7 to 9 p.m. in Schabarum Regional Park. Admission and parking are free. The park is at 17250 East Colima Road, on the corner of Azusa and Colima Roads in Rowland Heights. Food and beverages will be available from Casa Blanca Restaurant and KFC. The concerts are supported by Los Angeles County Parks and Recreation Department and Supervisor Don Knabe. A Chino man suffered major injuries and is suspected of drunken driving after rear-ending a big rig on the 60 Freeway, which then fled the scene early Saturday, authorities said. Christopher Oviedo, 20, was arrested on suspicion of drunken driving and hospitalized in stable condition following the 6 a.m. crash on the westbound 60 Freeway, just east of Fairway Drive, California Highway Patrol Officer Adam Christopher said in a written statement. He was driving a 2000 Jeep Cherokee at an unknown speed in the No. 3 lane prior to the crash, the officer said. A big rig was traveling ahead of Oviedo in the No. 4 lane. “For an unknown reason, Mr. Oviedo turned his car to the right and entered the No. 4 lane where it collided with the rear of the big rig,” Christopher said. The Jeep spun out of control and ended up crashing into the metal guardrail along the north side of the freeway, he said. He became trapped in the vehicle and had to be freed from the wreckage by Los Angeles County firefighters. Oviedo, who was not wearing a seat belt, suffered “major facial injuries,” in the crash. A description of the big rig was not available. Witnesses were encouraged to contact the Baldwin Park office of the CHP during normal business hours at 626-338-1164. After hours, the CHP can be reached at 323-982-4900. After 16 years as a council member and a commissioner, Tom King is resigning from the City Council effective July 1. King said he and his wife, Marjorie, have sold their house and are moving to Orange County. He will presumably attend his final city council meeting June 26. “Some time ago, my wife and I decided to downsize our property in Walnut. We owned nearly an acre parcel. Since our children have grown and moved away, we felt we no longer needed such a large property for the two of us,” he said Wednesday during the council member comments of the regular City Council meeting. “I have no regrets, as I know you will protect the Walnut way of life and remain committed to honest and open government,” he wrote in a letter to the City Council. City Councilwoman Mary Su said the council was surprised by King’s announcement. The council must decide whether to hold a special election to fill King’s seat, or appoint an interim city council member. The next City Council election is April when King’s seat will be up. King served as mayor four times and is the current mayor, having been appointed mayor by his council colleagues in April. Read more in Steve Scauzillo’s story KING. Science can be lots of fun, just ask kids attending summer classes at the Youth Science Center in Hacienda Heights. Classes began Monday at Cedarlane Academy. The one-week courses continue through July 12. 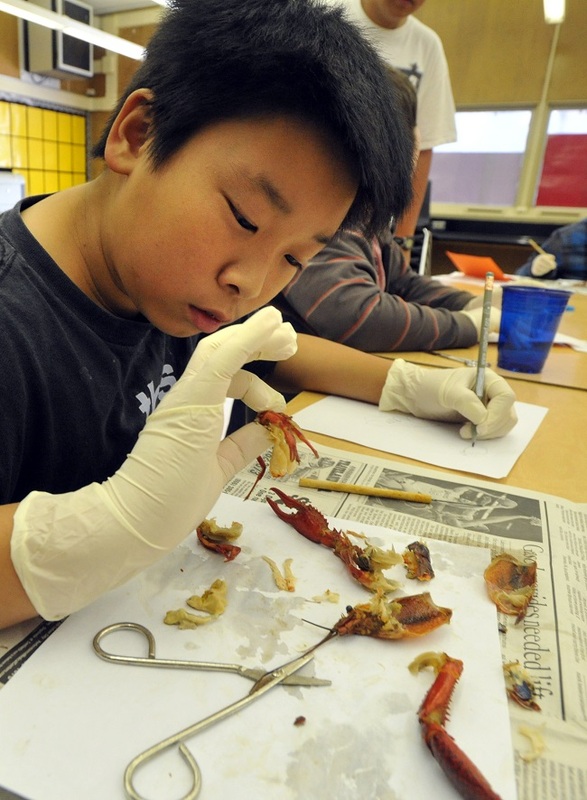 Teacher Paul Burns was busy helping his students dissect a crayfish. This class was not for the squeamish. The students had already dissected a worm. Today, they’ll tackle a frog, followed by a lamprey, then a squid. Two unidentified males were shot Monday morning while in their car near Nogales High School, officials said. One was transported to a hospital and the other pronounced dead at the scene, Sheriff’s Industry Station Sgt. Dan Jackson said. Still, the high school went on lockdown shortly after 10 a.m. with approximately 500 students on campus marking the first day of summer school, Rowland Unified School District spokeswoman Gina Ward said. It was lifted about an hour later. There is a search for an unidentified male suspect, who was seen in a brown sedan, Jackson said. Students were told there was a fight, said senior Carlos Ortega, 18, who was going to breakfast with his friend, Julian Nguyen, 16. Teachers were screaming to get inside buildings, he said. Students were running everywhere, including the library, Ortega added. Neither Ortega or Nguyen heard gun shots. West Covina High School was also on lockdown for about 30 minutes, West Covina Unified School District Superintendent Debra Kaplan said. “It was a precautionary measure done by the principal,” she said. It was also the first day of the school’s summer session. West Covina police and school police were also on scene. 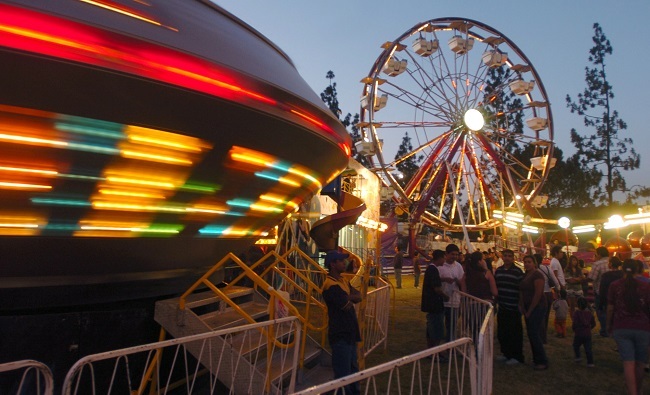 The tents are up, the rides assembled, ready for the Early California Days to start tonight at St. John Vianney Catholic Church in Hacienda Heights. The annual festival celebrates the start of summer, but more importantly this year it celebrates the rebuilding of the local Catholic church. Funds from the parish’s top fundraiser will go toward a new sanctuary across from Los Altos High School at 1345 Turnbull Canyon Road. The church was destroyed by an April 16, 2011, in an arson blaze that caused more than $8 million in damages, much of which fire insurance will not cover, according to church officials. The parish has held many fundraising events throughout the years, including car washes, community breakfasts, luaus and casino nights to cover the costs of rebuilding. But Early California Days are by far the biggest fundraiser for the church. Last June, after waiting nearly 15 months, the parishioners moved into a new interim sanctuary. The sprawling, white structure was erected next to the blackened church beside it. It cost nearly $800,000. Now, they want start on a new permanent home for the congregation. For more information, read Rich Irwin’s story CHURCH.